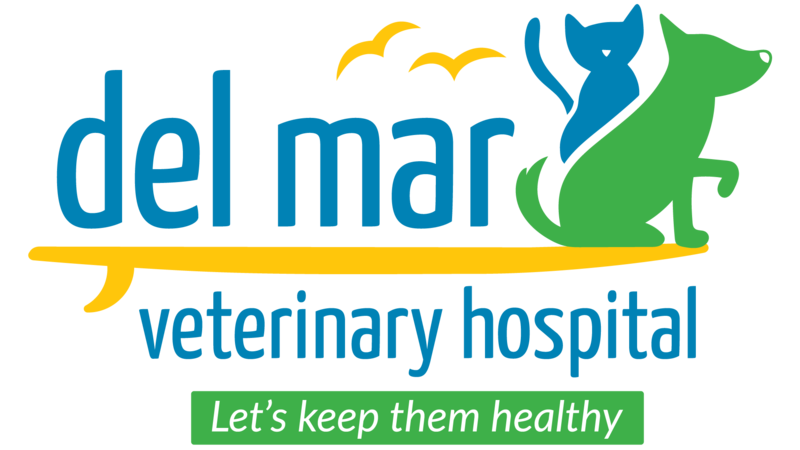 The team at Del Mar Veterinary Hospital is comprised of highly trained and experienced animal health professionals who have a genuine love for working with pets. My name is Anna Deason and I am a CVT (Certified Veterinary Technican.). I am from Mandarin Florida, but my family has been established here in St. Augustine since 1969! I grew up between St. Augustine and Jacksonville, and then in Tampa for a short while. Then I moved to North Carolina, where I went to school and attended Gaston College, where I became a Certified Veterinary Technician. I have been a practicing CVT for about 6 years, and started my wonderful journey into veterinary medicine working with large animals (including horses), and emergency farm care. 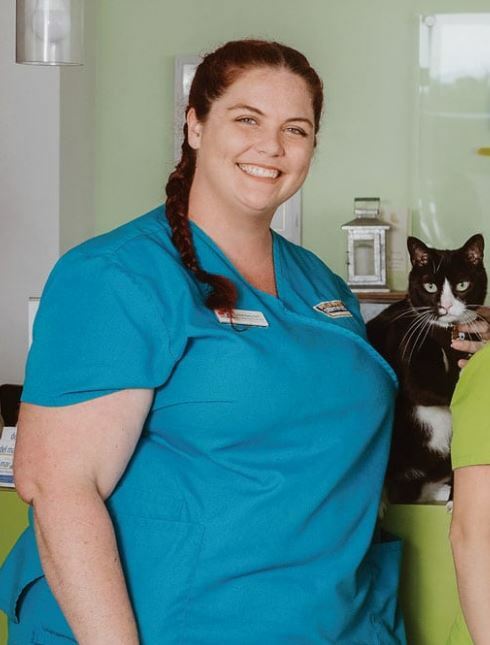 I worked for about 2 years with the Gaston County Animal shelter while studying to become a Veterinary Technician, and then practiced with small animals. 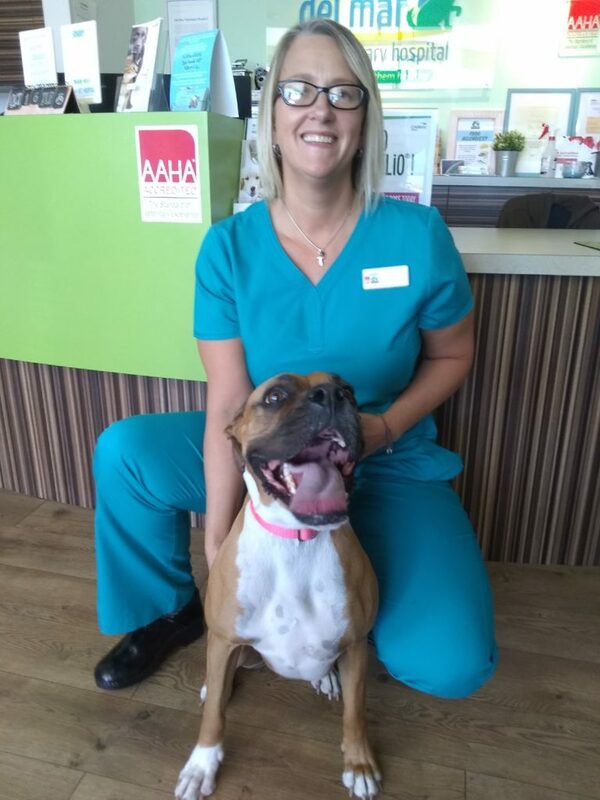 I love working with cats and dogs! I am a crazy cat lady; I have 3 cats of my own: Boogie, Taters, and Akira; an old dog named Skitch, and a horse named Rebbie. I enjoy spending my time riding and being with my horse, and love spending my time at the beach with my family. Above all, I love taking care of animals! 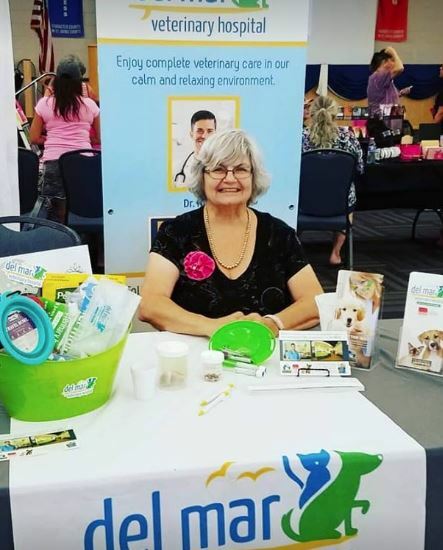 My passion is providing the best quality care to all creatures big and small, and making sure that they live long, healthy and happy lives! treated like family. We were always treated like neighbors. Greeted by name and our animals loved like one of their own. This was the same feeling I got coming into Del Mar from our very first visit with my Boxer puppy Trixie. 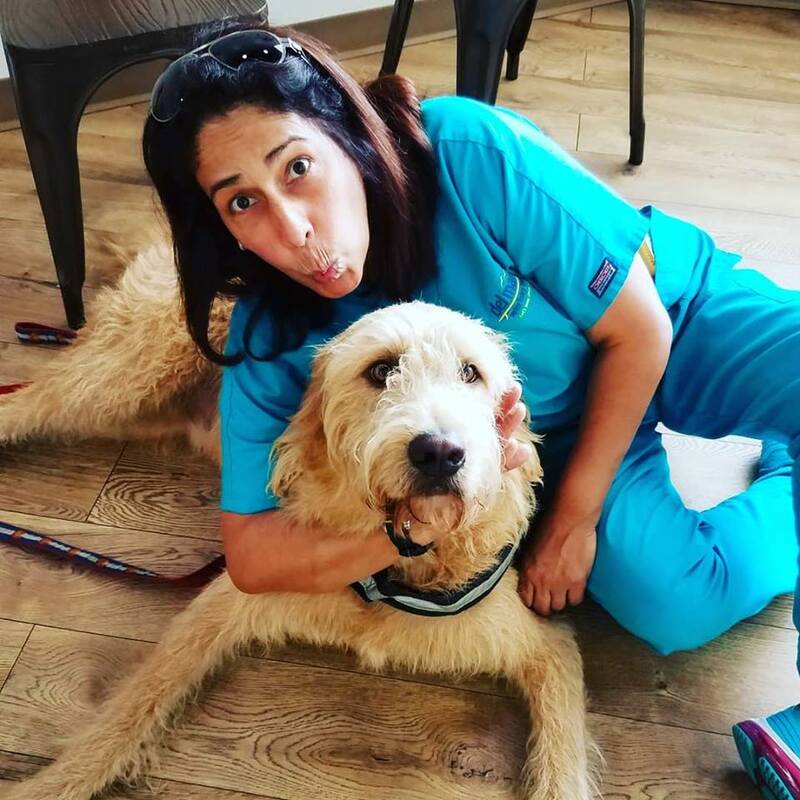 Having spent most of my life around and loving all types of animals, making the career transition into animal care was a natural move and great fit. I am excited to be part of such a dedicated and professional team. As an 11 year Breast Cancer survivor, I am huge believer and advocate for whole body health. This is something I am very passionate about. I feel our animals deserve the same love and care we give ourselves. Achieving balance of body, mind and spirit we are able to create a platform for great overall physical wellness. 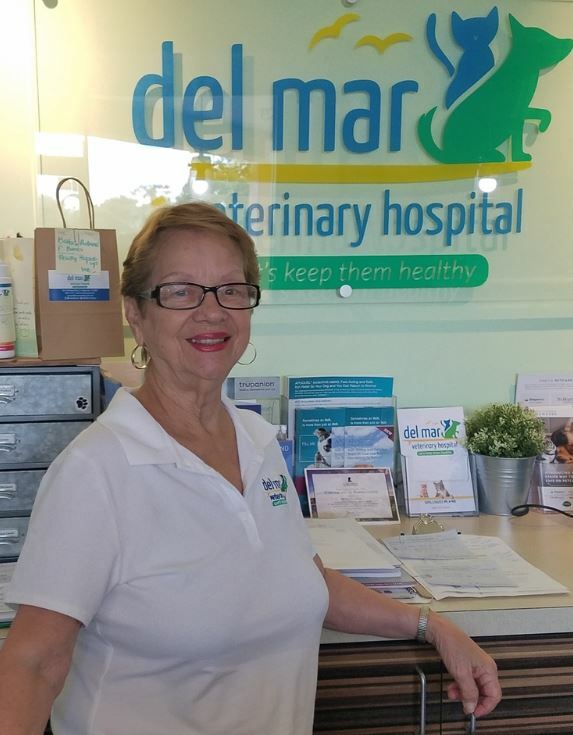 At Del Mar, we practice fear free care and are able to provide a much needed stress free experience for you and your pet. I look forward to seeing you and your pets in our office or at the beach. 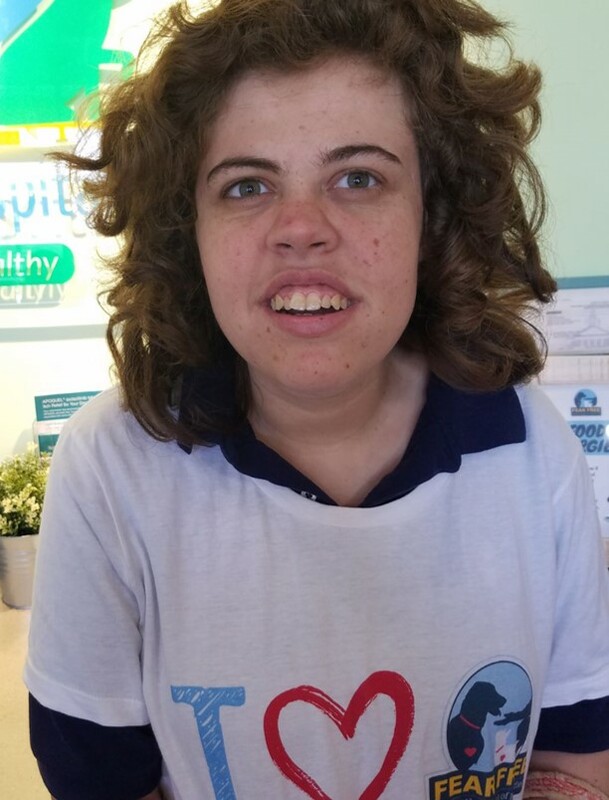 I was born in Newport Beach, CA and moved to St Augustine when I was 8 years old, to attend Florida School for the Deaf and Blind. 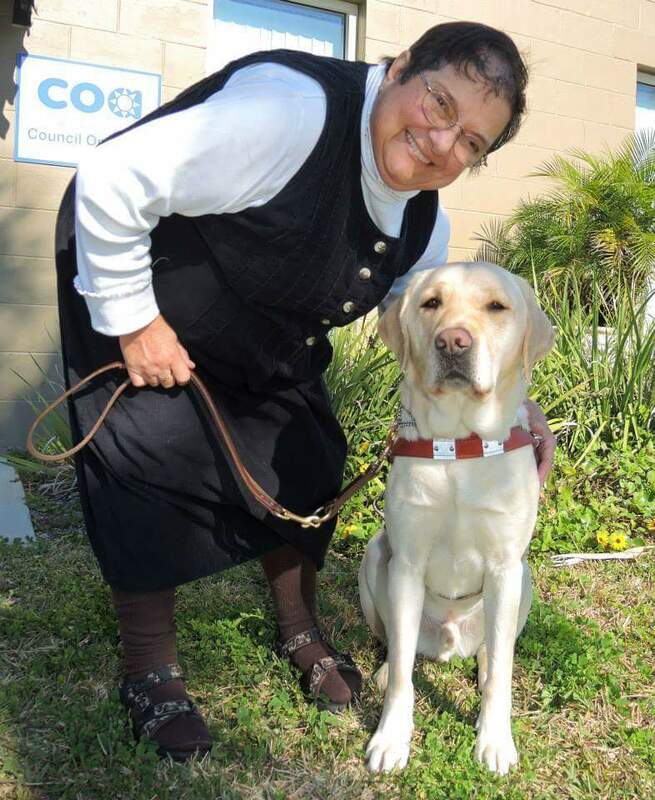 I am visually impaired, but I don’t let that stop me. I graduated FSDB in 2016, but still attend thru their Continuing Education Program. I also participate in VERC (Visual Education & Rehabilitation Center). Both of these programs have job coaches that help me learn job skills. I now work at the St Augustine Lighthouse Museum as a docent. I also volunteer at Wags and Whiskers Pet Rescue with my mom to help rescue kittens get their forever homes. I love to sing and I love to meet new people. Zed is Golden Labrador Retriever, who came to MJ, his owner, on December 2014. He is her second Guide Eye Dog. Zed was trained for two years before MJ got him, and he accomplished his training to work with Deaf and Blind. Zed is originally from Guiding Eyes for the Blind in Yorktown Height, NY. Two years ago, Zed was bitten by brown recluse spider on the inside of this leg, which at the time, was swelling a lot. Right after that, MJ, and her friend Joanna decided to take him to Dr. Nieves for treatment, as he was going to travel to New England the next day. Dr. Nieves treated him to help with the swelling and itchiness. Thanks to Dr. Nieves discharge care instruction and MJ’s amazing love and care, his wound got a lot better and healed well. Today, Zed is considered part of the team, by alway keeping his cool around other dogs, and transfering this positive, Fear Free energy to others around him.